The Arnsberg-Wildshausen wastewater treatment plant recently replaced an outdated drum thickener with a containerized AS-H Belt Thickener from Alfa Laval. This advanced sludge dewatering solution meets all the plant’s requirements in terms of capacity, reliability and performance. It is also simple to operate, requires minimum maintenance, and polymer consumption is low. Ruhrverbund is one of Germany’s largest water management companies, operating 67 sewage treatment plants. 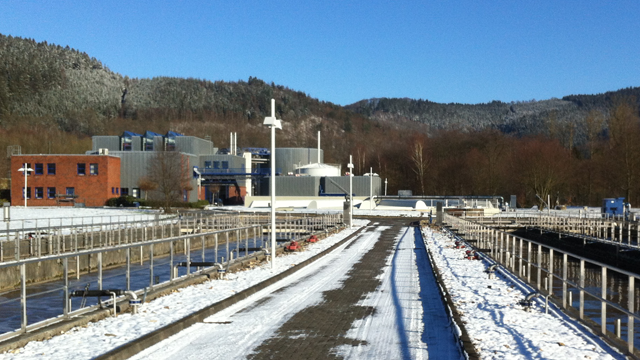 Their Arnsberg-Wildshausen wastewater treatment plant recently replaced an outdated drum thickener with a containerized AS-H Belt Thickener from Alfa Laval. The unit contains everything needed for efficient sludge thickening including control cabinet, polymer system and other auxiliaries. Ruhrverband representatives visiting Alfa Laval’s stand at the 2014 IFAT trade fair saw an AS-H Belt Thickener on display and were impressed by its simplicity. 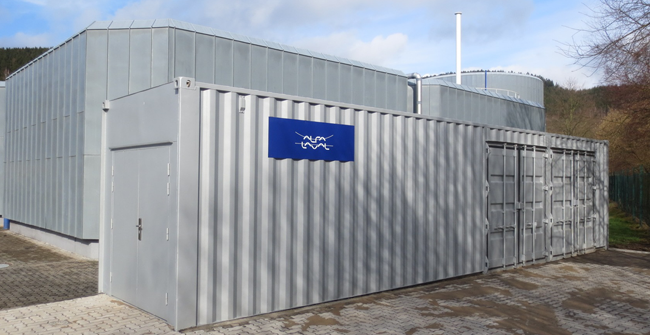 After a competitive bidding process, involving other manufacturers, Ruhrverband chose to install a containerized version of this Alfa Laval solution. Installation and commissioning of the complete plant was also included in Alfa Laval’s scope of supply, and Alfa Laval’s Mid Europe Service technicians provided assistance during the start-up process. To bridge the gap between order and delivery of the containerized AS-H Belt thickener the Arnsberg-Wildshausen plant needed an interim solution for sludge thickening. 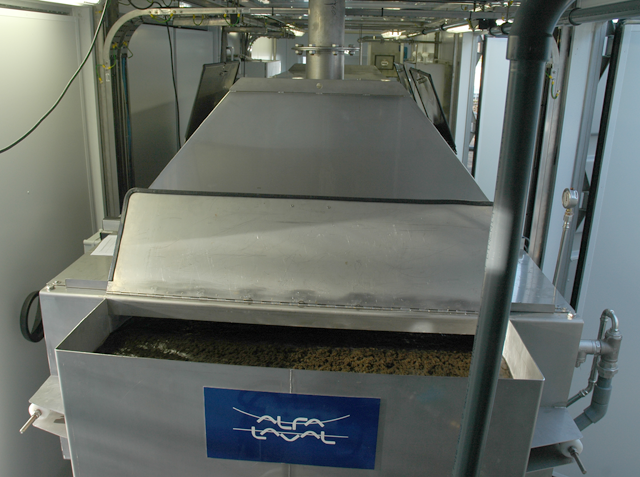 Alfa Laval therefore provided an ALDRUM G3 Drum Thickener test unit for this.